I’m just going to get right to it: every human on Earth wants to cuddle with a giant, furry, real-life teddy bear. Even the coldest soul would start to thaw if a dog with paws the size of your head gave you a snuggle. It’s a fact of life. Unfortunately, jumping into zoo habitats and canoodling with pandas and polar bears is highly dangerous. So, why not check out one of the world’s largest dog breeds to quench your desire for larger-than-life snuggles? To be fair, large dog breeds aren’t your run-of-the-mill pet. Along with a massive pup come giant poops, enormous appetites, and potential risks that you won’t get with a medium or small dog breed. Before you go googling in search of the world’s largest dog breed for sale, take a moment to learn about these big dogs and find out if they’re a gentle giant down for couch snugs, or if they’re hardwired to work and need the farm life. Each of these behemoth pups has unique characteristics and quirks, but they all share one thing: they are seriously HUGE! Keep in mind that, even though these pony-sized pets may be so kind and gentle that they would never intentionally harm anyone, their massive size could lead to dangerous accidents with children or small adults. If your precious Harry Pawter happens to resemble Fluffy the three-headed dog, you should be sturdy and strong enough to be seen as the alpha dog. Sure, you don’t need to be 6’3” and bench press 250 lbs. — but having proper obedience training at a young age is even more important if your dog could literally smother you when they come in for a hug. We rounded up the 21 of the world’s largest dog breeds, along with their need-to-know info. That way, you can make an informed decision before jumping into a relationship with a 150 lb. Mastiff when you live in a fourth-floor walk-up. What makes me special? These guys were bred to protect livestock, so while they have a gentle disposition, they are also driven to protect their home and their human. As long as you socialize and train them as puppies, you will have a calm, brave, and intelligent friend. My average weight: 90 - 120 lb. What makes me special? Bernese Mountain Dogs are extremely loyal and attached to their family. While other dogs will only tolerate young kids, this breed is particularly good with children and loves being around them. 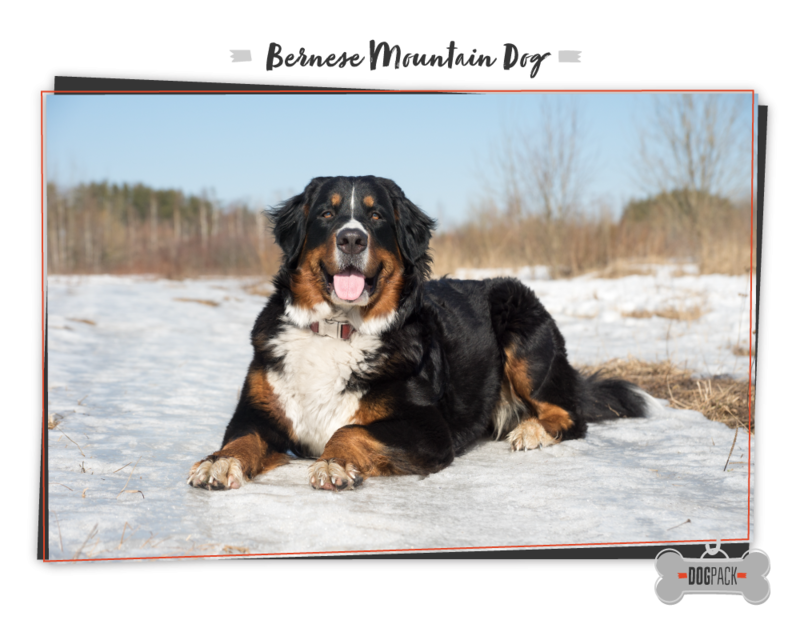 Bernese Mountain Dogs display gentle, loving, and protective characteristics, and they are loyal for life — all of which make them one of the best options for a family with young children. My average weight: 100 - 150 lbs. What makes me special? Despite their large size, Black Russian Terriers actually do quite well in small homes. As long as you give them adequate exercise (about 30 minutes a day), they will be completely content acting as your Netflix snuggle buddy. 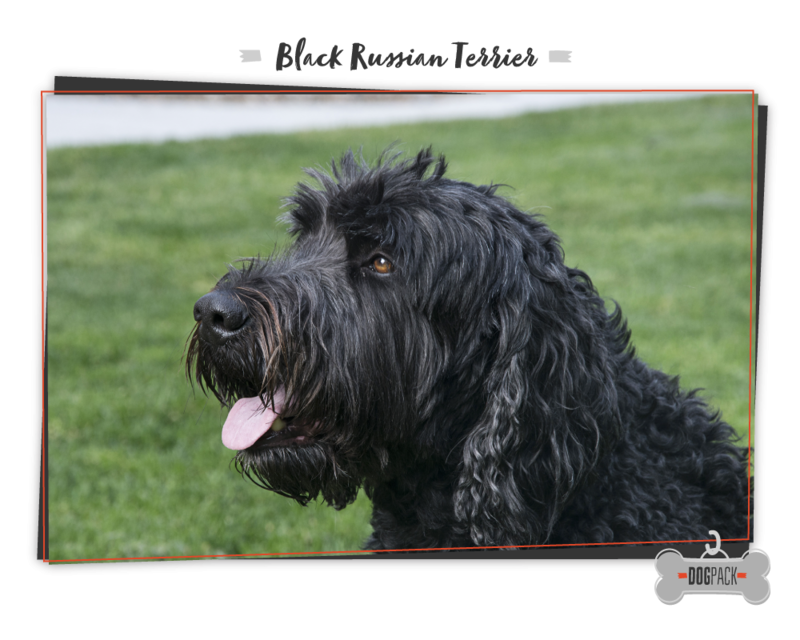 In fact, Black Russian Terriers have such a deep desire for human contact that, even with a huge yard to run around in, they will probably end up waiting at the door to come back inside and see their favorite human! My average weight: 150 - 200 lbs. What makes me special? 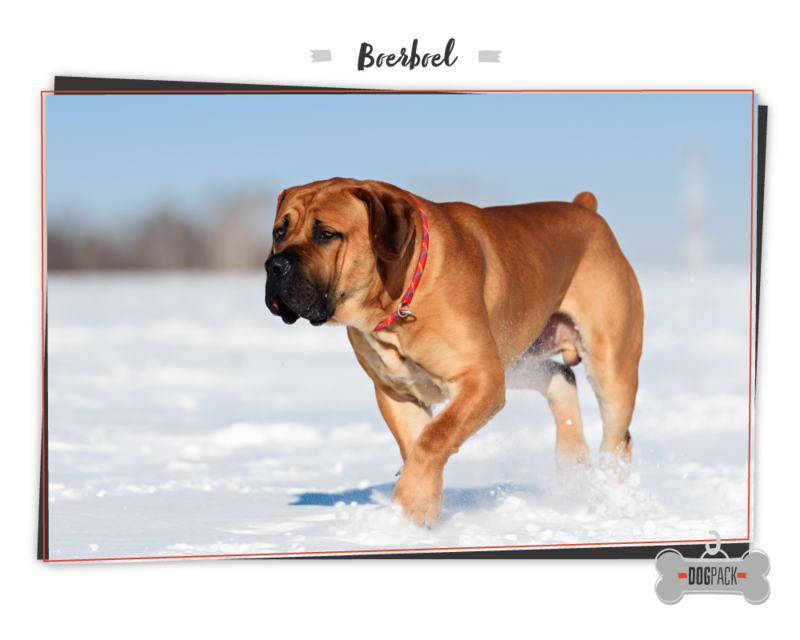 A Boerboel, also known as a South African Mastiff, is another of the world’s largest dog breeds that are first and foremost devoted to their family. Boerboels are even known as a “Velcro dog” — a nickname for dog breeds who are happiest with their human and are vulnerable to separation anxiety. 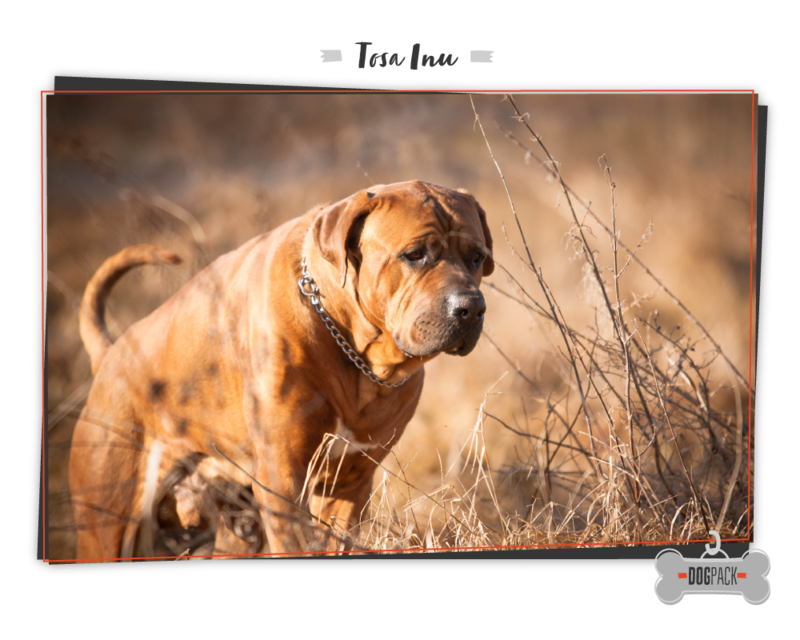 Boerboels are intelligent and will take direction from any member of their family, but it takes an experienced trainer to find success with training this strong breed. If you don’t have experience with training dogs, make sure to find a thorough obedience training school before committing to a Boerboel. My average weight: 100 - 130 lbs. My average height: 24 - 27"
What makes me special? 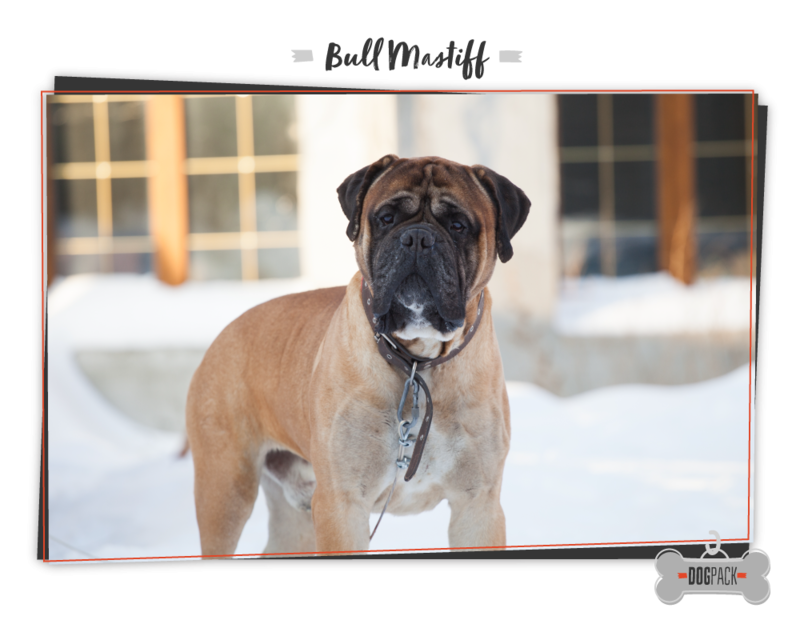 Bullmastiffs are a docile and aloof breed, which make them a great choice if you want a large dog without tons of energy. Their low energy levels make them prone to obesity, so even if Duke doesn't want to go to the park, it's your job to encourage daily exercise to keep him healthy! Bullmastiffs are gentle with children, but since they aren't a very playful breed, older kids may find them boring. In spite of their gentle demeanor, Bullmastiffs are devoted and courageous guardians, often ignoring strangers or other animals unless they sense a threat. My average weight: 90 - 100 lbs. What makes me special? 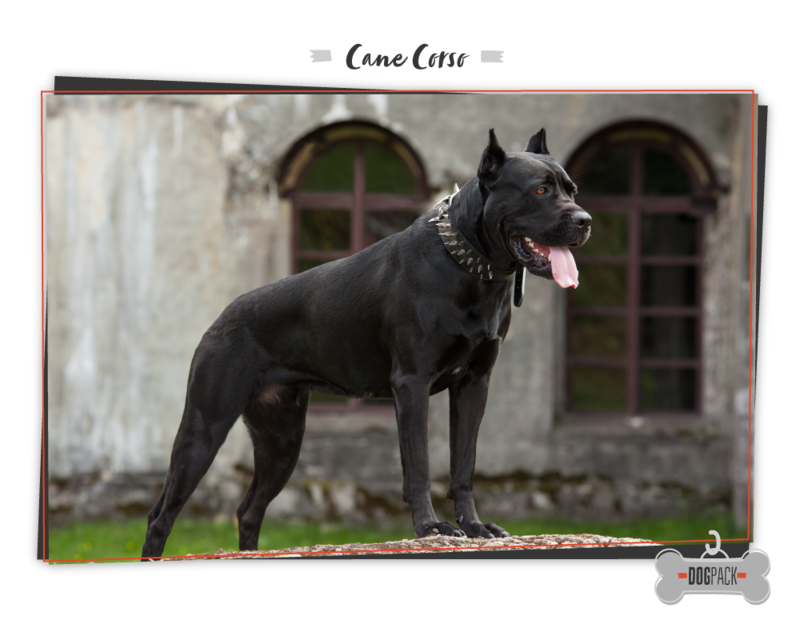 Cane Corso dogs are even tempered and loyal, but they require consistent, strong training as puppies. They should be socialized early on so that once a Cane Corso is an adult dog, they are most often calm and only react to legitimate threats. However, this isn’t a job for a first-time dog owner, and experts agree that only experienced dog owners should have this large breed. My average weight: 100 - 220 lbs. What makes me special? 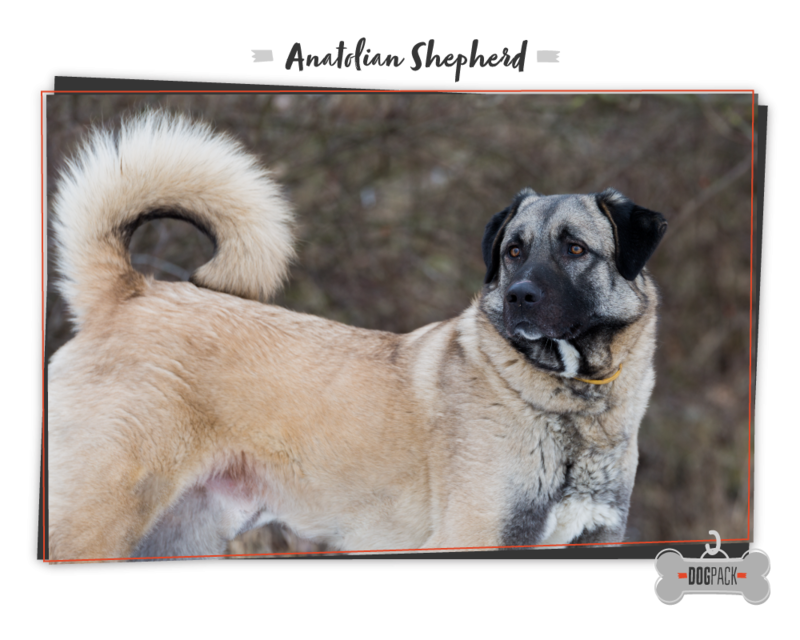 This large dog breed requires very specific obedience training during the age of 7 to 8 months old. Once they are 9 months old, their habits have already been formed. 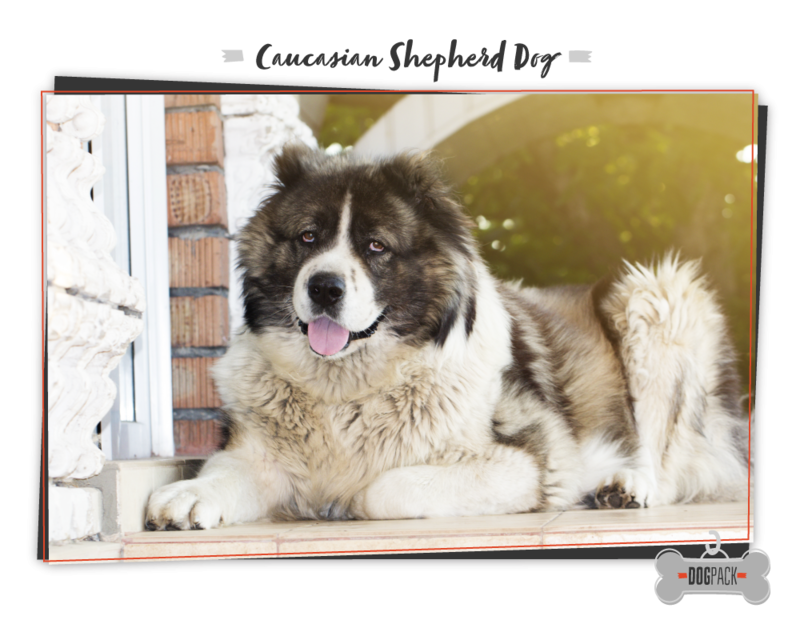 It’s especially important for a Caucasian Shepherd Dog owner to be experienced in training, since they don’t do well in obedience schools. This breed is often distracted and difficult to manage when around other dogs, so you need to train them individually. They also have very strong protective instincts, so you should introduce them to humans when they’re puppies to teach them that not all strangers are threats. This breed isn’t recommended for families with young children. My average weight: 120 - 150 lbs. What makes me special? The Dogue De Bordeaux, aka French Mastiff, is not a breed for the faint of heart. They have a short lifespan and are known for being stubborn, so you must be willing to dedicate extensive time to their training and socialization when they are young — like 8-weeks-old young. If not, they can be aggressive and very difficult to control. (But this is true with most of the world’s largest dog breeds, so you should know this by now!) 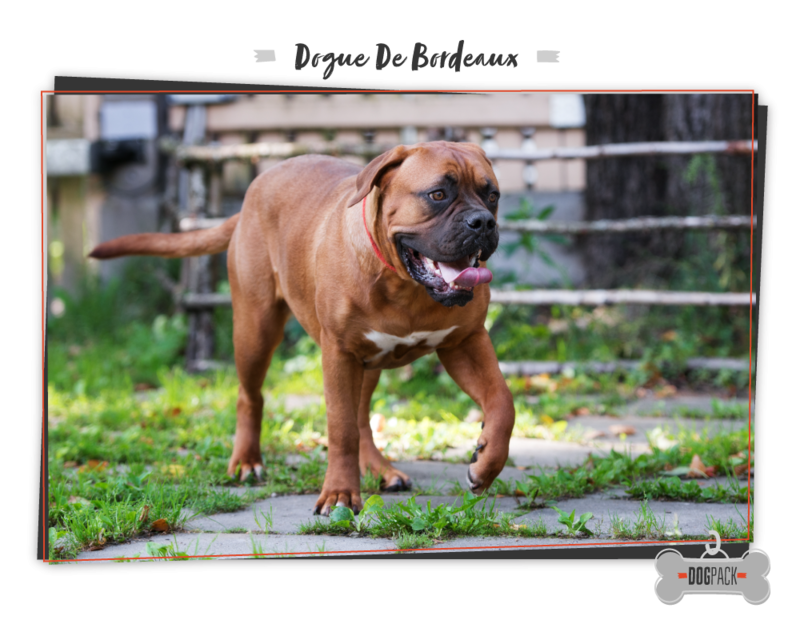 When properly trained, a Dogue De Bordeaux is a great option for dedicated dog owners, and the breed is also known for being very gentle with and protective of children. My average weight: 110 - 180 lbs. Health risks: Heart problems, gastric torsion, osteosarcoma, hip dysplasia, hypothyroidism, Wobblers syndrome. What makes me special? 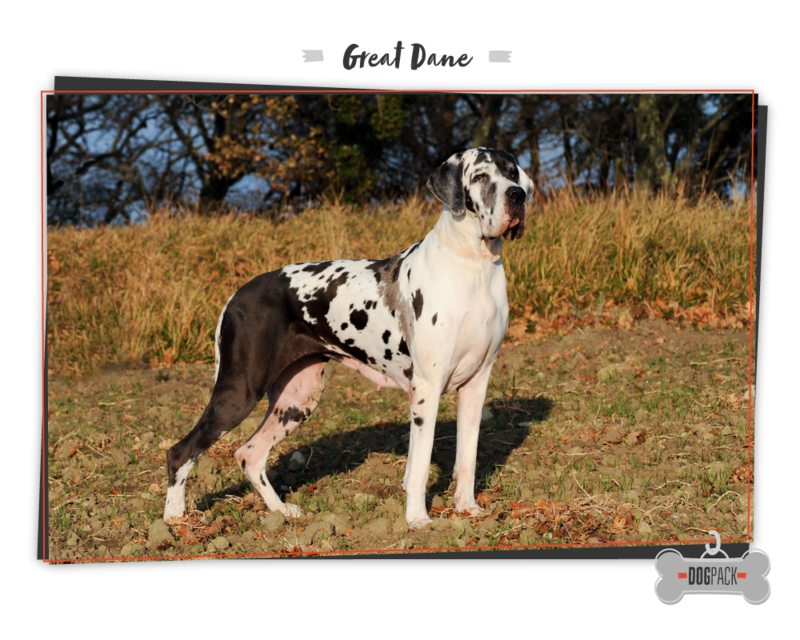 Great Danes are loyal, intelligent, and very rarely aggressive, except in threatening situations. They require close human contact, and despite their size, they are great apartment dogs! Just make sure they get enough exercise, with a minimum of one long walk per day. Great Danes are extremely careful and gentle with kids, but because of their size, you need to keep a close eye on them around small children. My average weight: 80 - 120 lbs. My average height: 25 - 32"
What makes me special? 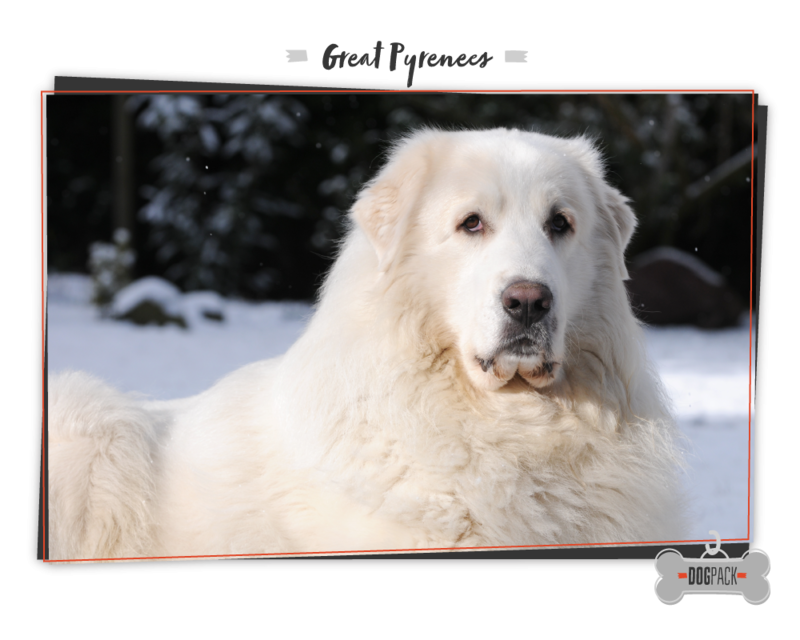 Great Pyrenees are independent and need lots of space to run free! Unlike the Great Dane, the Great Pyrenees is not suited to live in an apartment. They're also known to wander off, so make sure to always keep them on a leash if you're not in a fenced in yard. Their thick, fluffy coat makes them one of the most snugg-alicious of the world's largest dog breeds, but they will need to spend a long day outside before they're ready to nap on the couch with you. My average weight: 80 - 140 lbs. My average height: 23" - 29"
What makes me special? These doggos are dedicated and loyal guard dogs, but they are easier to train than many other large dog breeds. 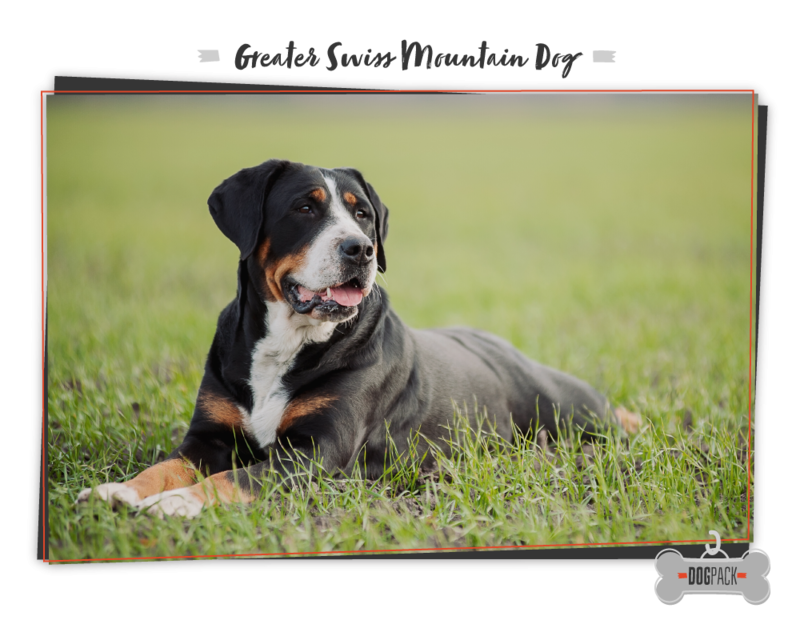 Greater Swiss Mountain Dogs are easygoing and gentle with family, but their territorial nature makes them a keen guardian. They don't need exorbiant amounts of exercise, but strenuous activity will keep them more relaxed and even-tempered. What makes me special? Out of all the world's largest dog breeds, the Irish Wolfhound is the tallest. Their average height is 32 inches, and if it that wasn't enough, they also can run at speeds up to 40 mph! 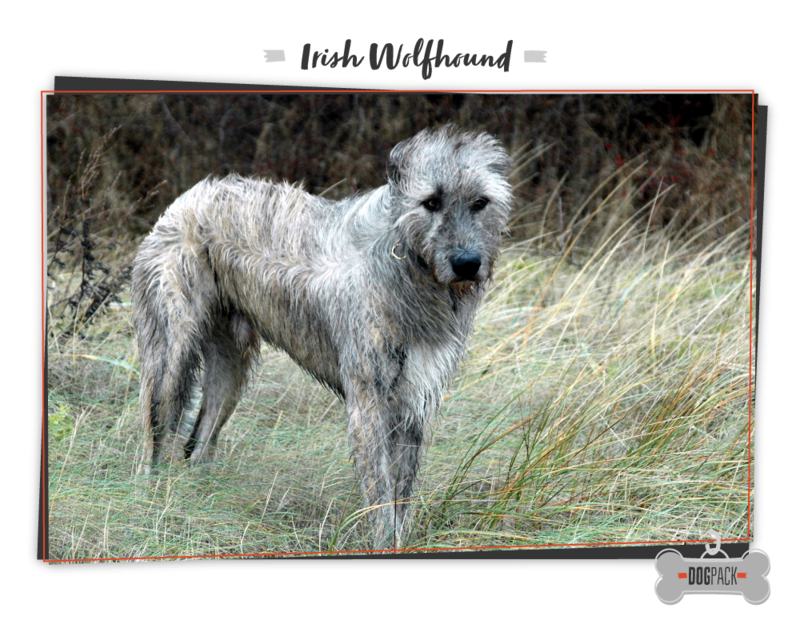 The imposing apperance of the Irish Wolfhound may deter intruders, but they are such a friendly breed, they'll get along with other family pets, new people, and other dogs. My average weight: 70 - 115 lbs. My average height: 26 - 30"
What makes me special? These regal dogs are very protective of their family, especially young children. Their hardwired need to protect can result in aggression toward other dogs or strangers, so proper training is crucial at a young age. 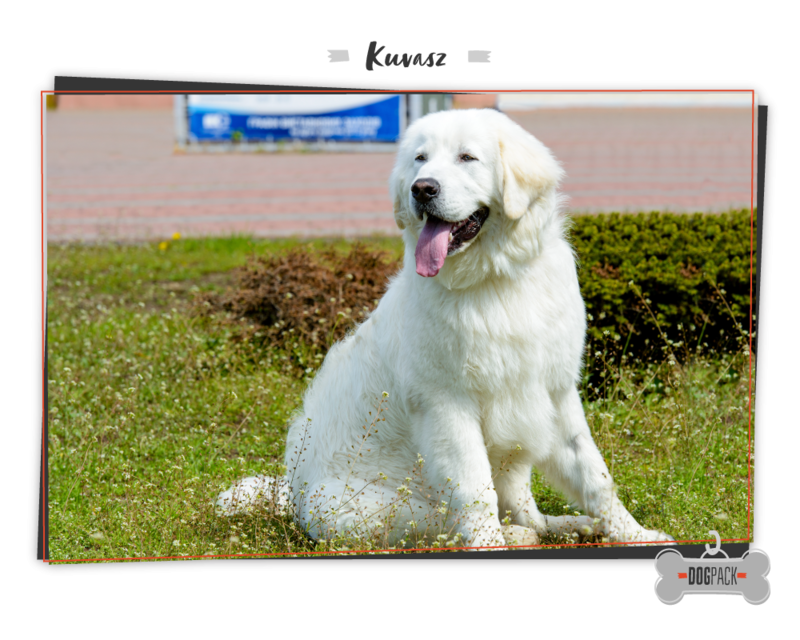 Even if your Kuvasz is well behaved, always proceed with caution when introducing new people or dogs. My average weight: 110 - 175 lbs. My average height: 26 - 31"
What makes me special? 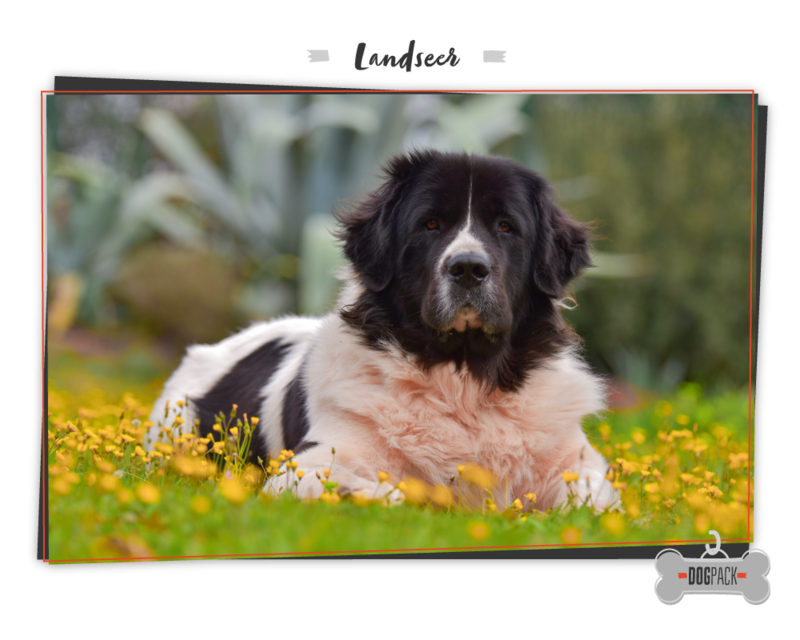 The Landseer is a type of Newfoundland dog best known for their ideal temperament. They are patient, sweet, calm, and courageous, and they have a keen sense of danger. Landseers can recognize when a stranger is threatening and will immediately defend their family by stepping between their owners and the threat. They are loving with children, and they enjoy hikes and tagging along to backpack and swim. If you're an outdoorsy family looking for a friend and guardian, the Landseer could be the perfect fit! My average weight: 100 - 170 lbs. My average height: 65 - 80"
What makes me special? 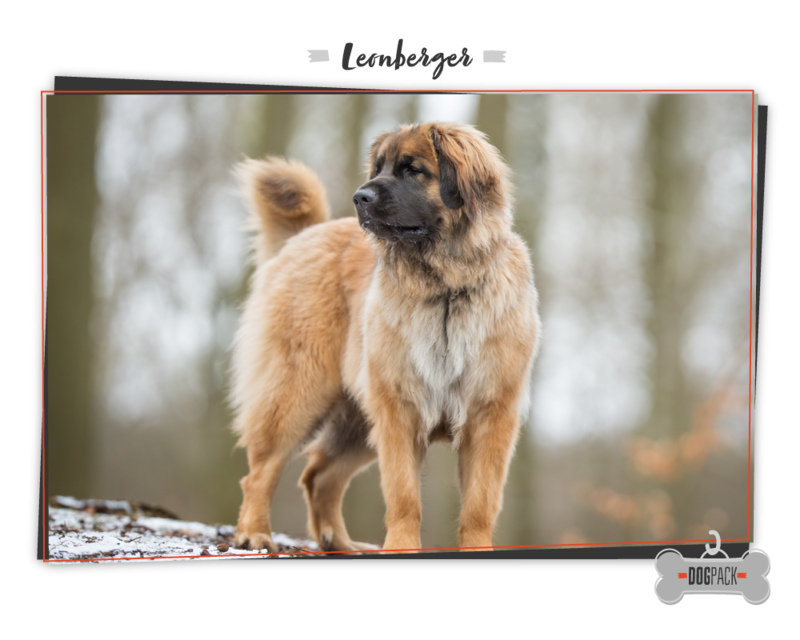 The Leonberger is another breed whose excellent temperament is one of their most unique characteristics. When they are trained and socialized during puppyhood, they can become the perfect combination of confident, obedient, friendly, loyal, protective, and playful. Given their ideal personalities, it's not surprising that they also easily adapt to situations — including being around other dogs. My average weight: 110 - 170 lbs. My average height: 24 - 31"
What makes me special? 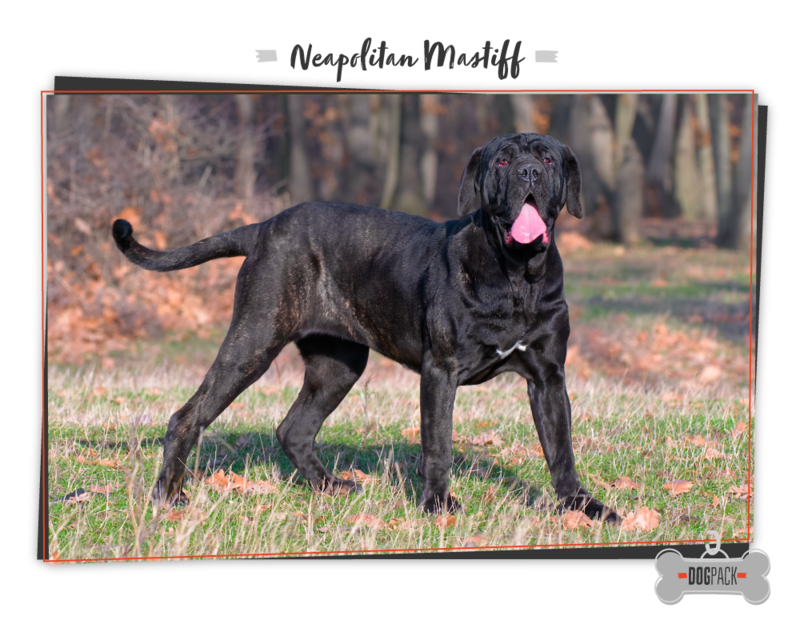 Neapolitan Mastiffs are said to have an unparalleled ability to sense danger or threats. Their extreme loyalty to their family means they will protect their humans at all costs, but that trait could also lead to excessvie aggression if they aren't socialized properly. This breed isn't recommended for first-time dog owners. My average height: 26 - 28"
What makes me special? 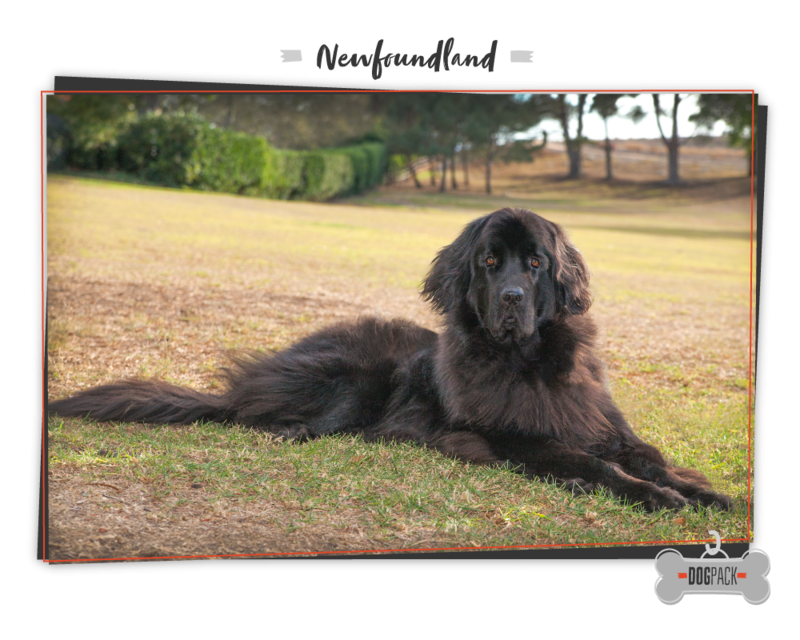 Newfoundlands are first and foremost a friendly, easygoing and sweet breed. They are a perfect family dog, as long as you have time and space for them to play! They are playful, but not hyper. With proper exercise, your Newfie will be a loving and gentle giant! They love to swim, jog, walk, or pull a cart or wagon, so if you have a big yard and children ready to play, your Newfoundland will be thrilled to entertain the kids for hours! My average weight: 120 - 200 lbs. My average height: 25 - 28"
What makes me special? 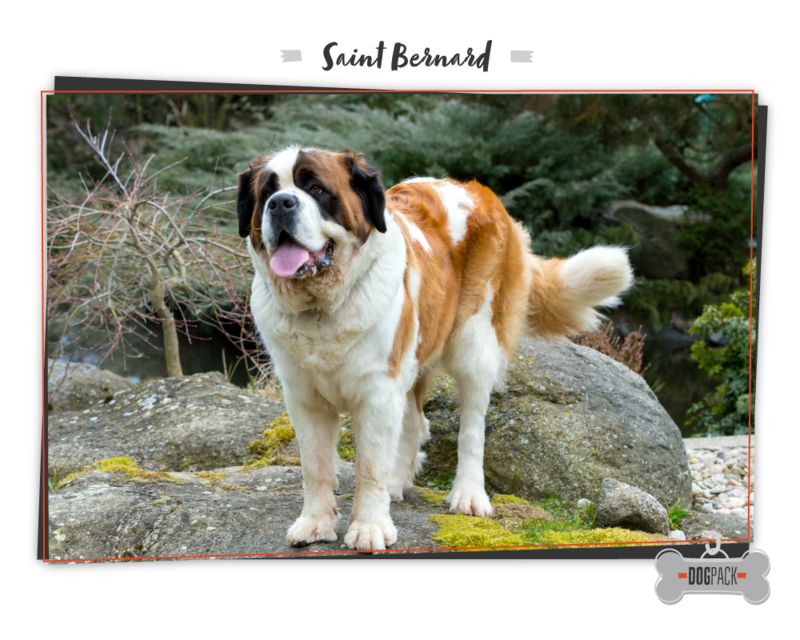 We use this term for many of the large dog breeds who have kind dispositions, but the Saint Bernard is truly a gentle giant. They can weigh up to 200 pounds and are extremely mellow and easygoing. They are eager to please their owners and will make a great family companion. Saint Bernards do well in cold climates, but if they are out in warm temperatures, make sure they have plenty of water and do not overheat. My average weight: 75 - 110 lbs. My average height: 28 - 32"
What makes me special? Okay, seriously, this is the most gentle of the gentle giants. 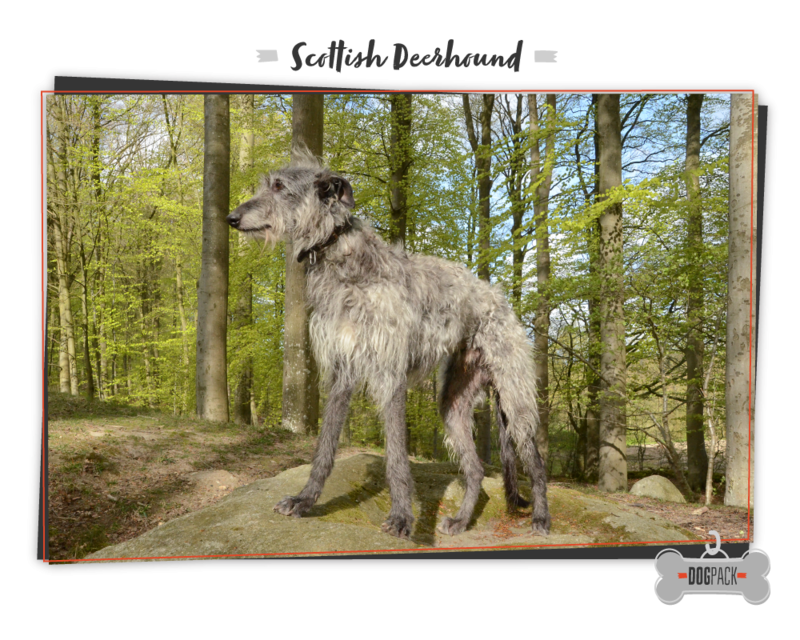 Scottish Deerhounds are couch potatoes who will only go out and get exercise if their owner forces them into it! That being said, make sure to force your Scottish Deerhound into at least one run or playtime at least once a day. What makes me special? Tibetan Mastiffs have been devoted guardians and watch dogs for almost as long as dogs have been around! These historic dogs have long been trusted to protect livestock, land, and humans — and they still are to this day. 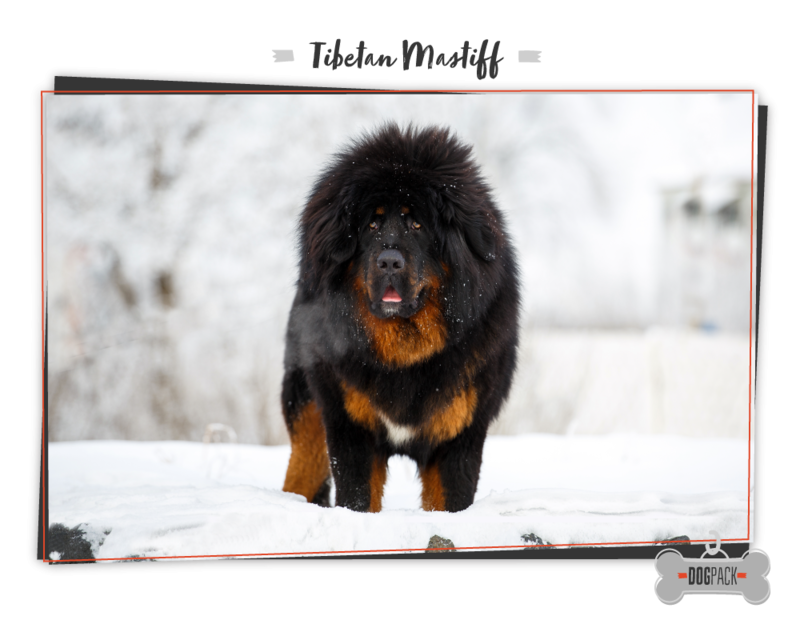 If you don't have a herd to protect, but rather a home and family, Tibetan Mastiffs are a great option as long as you have a large, fenced-in area for them to roam. Physical activity has a great impact on a Tibetan Mastiff's mental health, and they can become destructive or aggressive if they are bored or left alone. They are a loving and gentle breed, and unless there is a legitimate danger, that's all you will see from them! My average weight: 79 - 130 lbs. My average height: 24 - 28"
What makes me special? After a long history of dog fighting in Japan, Tosa Inu are illegal in many countries around the world. If the breed is legal in your area, their courageous, dilligent temperament can make them a great guard dog! Tosa Inu need plenty of active time outdoors, as well as time spent close to their owner. This breed is not ideal for first-time owners. If the owner does not assert dominance, the dog may get aggressive and act as if they are the alpha. Which is your favorite out of the world's largest dog breeds? Let us know in the comments! Can Dogs Eat Shrimp? What About Other Seafoods?